Over two decades ago, Kate and Gabe Rogers met. Since then, they have accumulated over 15 years of experience in the food and customer service industry. After owning and operating a successful homebrew supply store and a brewery, they are now working on their next project: Breakaway Beerworks. In 2005 Kate and Gabe bought their first home. An interest in homebrewing was sparked, and Gabe started making beer on their kitchen stove in a 7-gallon lobster pot. He eventually invested in a larger, 15-gallon brew system that he operated from within their garage. Over the next 10 years, Gabe’s brewing career flourished. 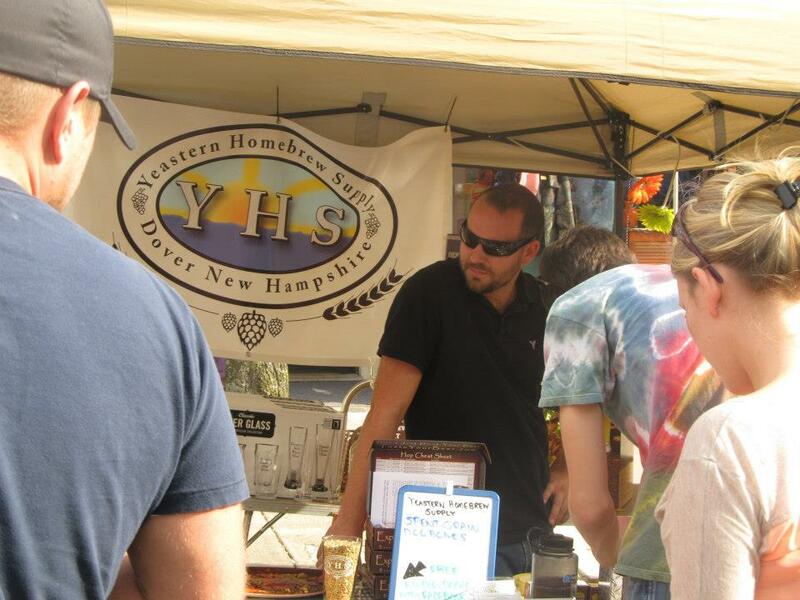 He owned and operated a successful homebrew supply shop, Yeastern Homebrew Supply, and medaled in various homebrew competitions including the Regionals. Kate and Gabe both became BJCP certified beer judges and went on to open their first brewery, Garrison City Beerworks on December 13th, 2014. Gabe and I have participated in the annual Apple Harvest in downtown Dover, NH. We've been fortunate to have two of our own businesses represented. Our daughter Meadow munching on some spent grain after a brewing demonstration at Yeastern Homebrew Supply. Our display of hops from our hop harvest. We grow several types of hops in our yard and generally get a pretty good yield from them. The ultimate cover photo for our former home-brew supply store. This is a sunset on top of Cadillac Mountain in Acadia National Park. A brewing demonstration with Paul Davis. We have known Paul a long time and dearly appreciate his wisdom and fine libations. I still can't find a Berliner as authentic as his. A tried and true favorite of mine. The excitement for Gabe’s signature take on IPAs and Pale Ales was contagious, and the “Haze Craze” swept through New Hampshire and surrounding states. 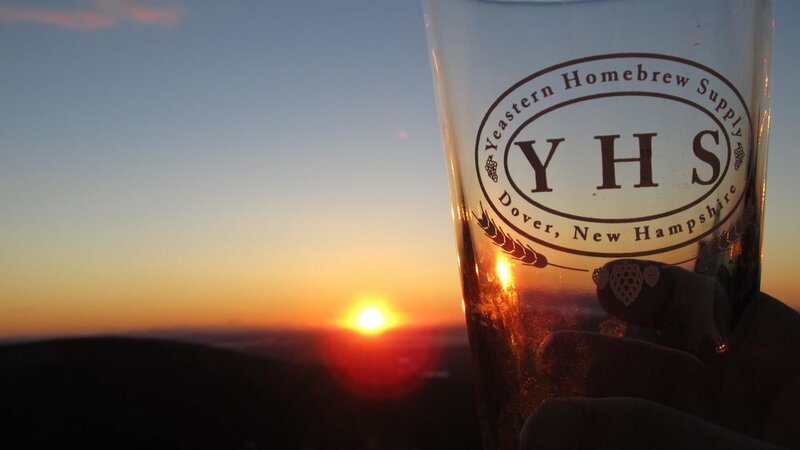 He received the award of Best New Brewer in New Hampshire in 2015 from Rate Beer. This was the first time a New Hampshire brewer had received this award. To this day, six of Gabe’s recipes are on the Beer Advocate top 100 beers of New Hampshire. Behind The Beer is an on line store where you can buy merchandise connected to Michael Penney's project documenting craft beer makers throughout New England. The funds raised will go toward the printing of a coffee table style book of Portraits of New England's Craft Beer Makers. After discovering and surviving an undiagnosed illness, Gabe is on the road to recovery. Together, Kate and Gabe are forming the building blocks that will become the foundation for their new brewery, Breakaway Beerworks! The brewery logo is that of a phoenix, representing Kate and Gabe’s metaphorical rise from the ashes and breaking away from the chains that have bound and prevented them from realizing their dream. The phoenix is reborn and evolves into a superior form of its previous self. Their first Double IPA “RISE” celebrates this process. The promise to quality and consistency will begin at the award winning Great North Aleworks in Manchester, NH where Kate has been employed for the past two years. Kate and Gabe will be contract brewing 40 bbl batches and distributing 16 oz cans to local specialty beer stores and kegs to select bars and restaurants. In time, the plan is to grow Breakaway Beerworks to the point where it can move into its own, independent facility. With this renewed life and second chance, Kate and Gabe will continue to push style boundaries and brew beers that can be shared and enjoyed by all. They invite all to join them on their journey as they RISE, rebuild and take flight!